For any business, the ROI is an important performance measure for evaluating how efficient your investments are. Naturally, a higher ROI is a great indicator that you are spending your resources in the right places. 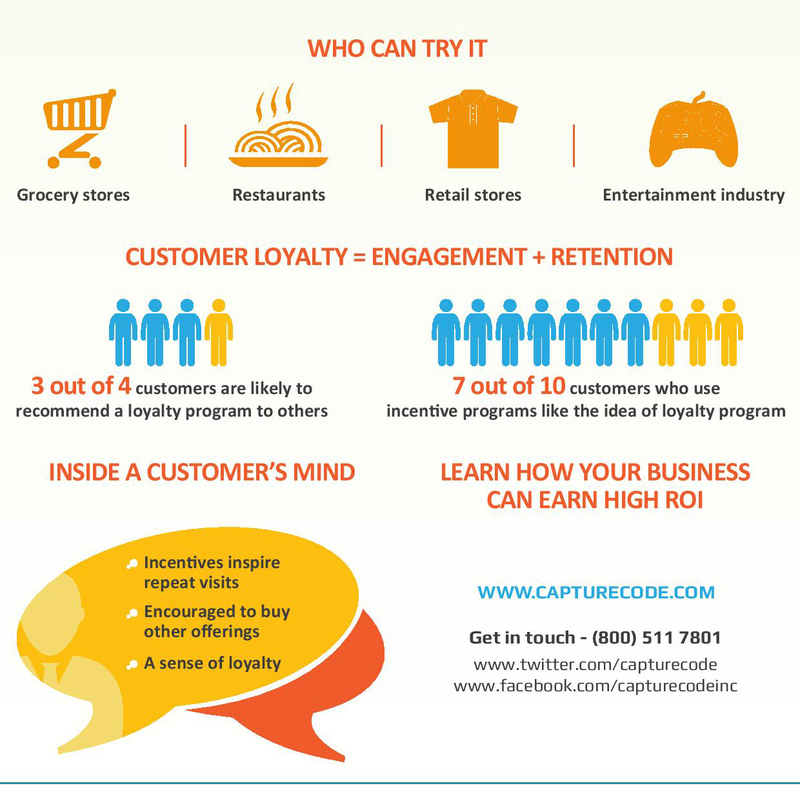 CaptureCode believes that targeted marketing will yield higher returns on investments. CaptureCode looked into one of their client business using targeted marketing and found that the business did in fact yield a higher return on investment. The business introduced a new promotion which offered a free soda with a purchase. In order to attract customers to come in sooner, the promotion was a limited-time offer which increased traffic and generated higher revenue. The business invested $3,097 on digital marketing and in return collected a revenue of $16,092 which amounted to $12,995 as profit. 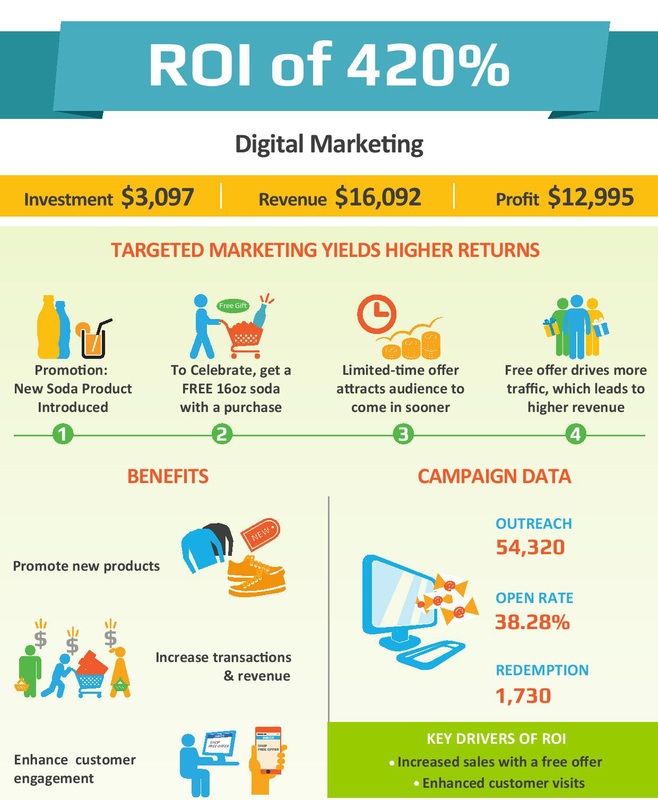 Research by CaptureCode also found that one of the key drivers of ROI was not only offering free products, but that enhancing the customer’s engagement was equally as important. The same business found that when they sent out their promotions to customers, they had a 38.28% open rate which led 1,730 customers to redeem their promotion.